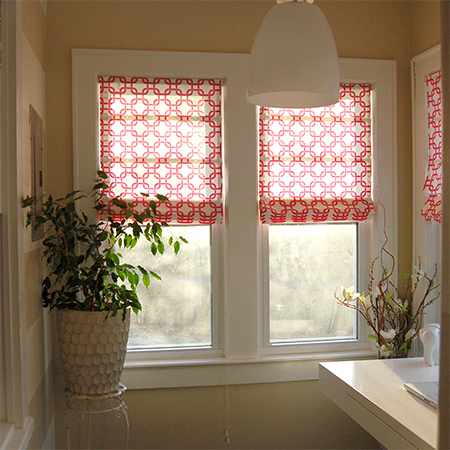 Whether you use bought fabric or make your own printed fabric, making a Roman blind won't take you more than an hour. In fact the hardest part of making Roman blinds is choosing the fabric! 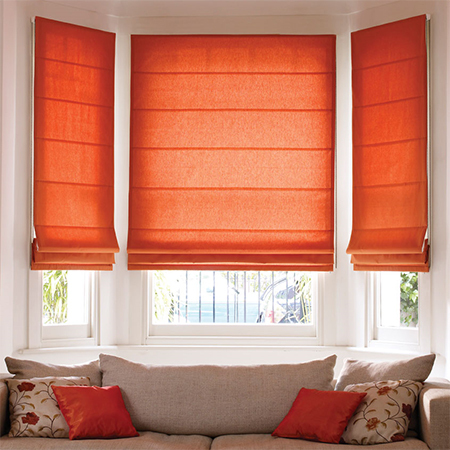 Learning how to make your own Roman blinds allows you to make your own custom window treatments, in your choice of fabric, at a fraction of the cost to buy ready-made Roman blinds. 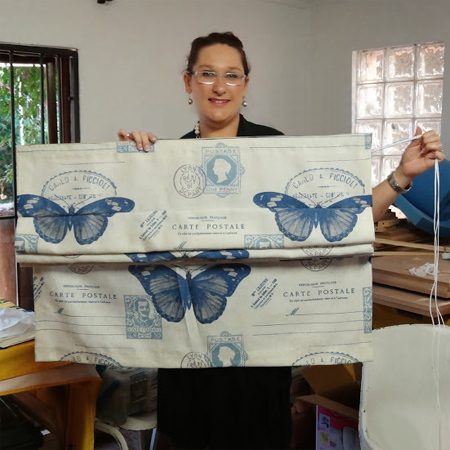 You will also find some great ideas here for painting your own designs and patterns onto fabric for making Roman blinds. ABOVE: DIY Divas workshop on how to make a Roman blind. 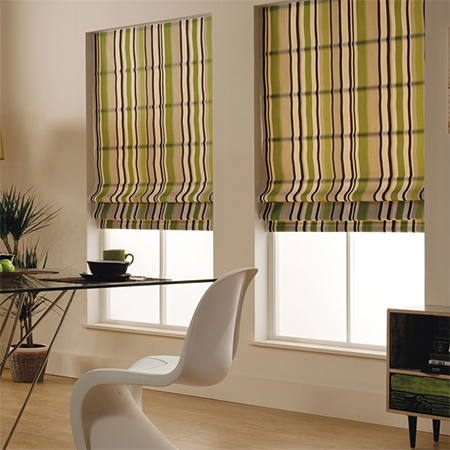 *If you are fitting the Roman blind above the window (on the wall), allow an extra 2cm on either side. 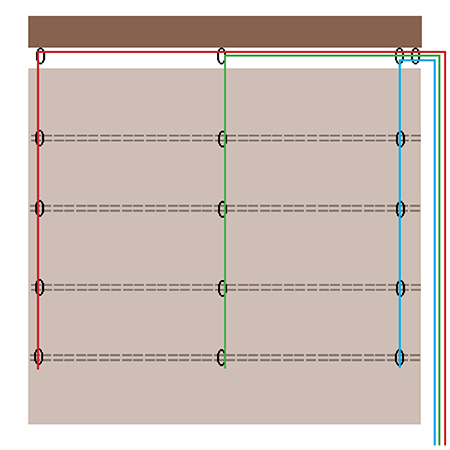 If fitting to the inside of a window frame, measure the width of the frame for the length. 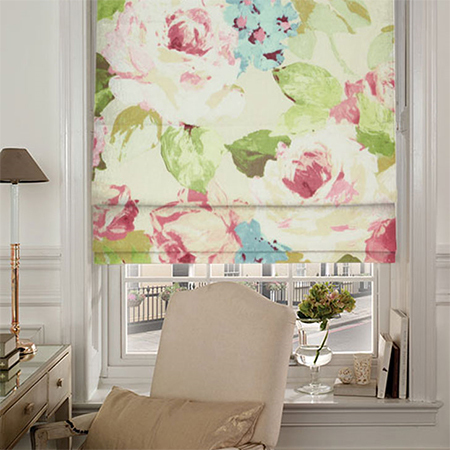 **To determine the length of fabric that you need, measure the length from wall mounting / top of window frame to where you want the blind to drop. To this measurement add a 2cm border for the top / bottom, plus 4cm for every rod pocket, taking into consideration that these are spaced every 30cm. 1. Start off by folding over a 2cm hem on the top and sides of your fabric. 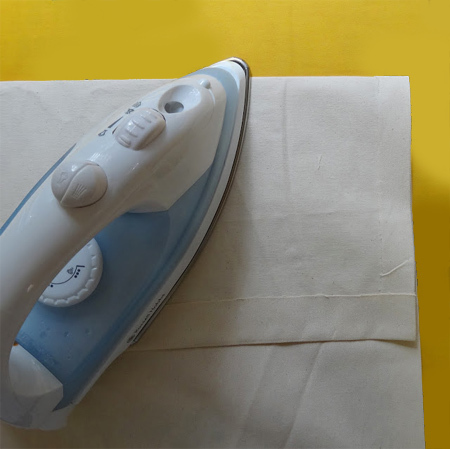 Iron this flat. 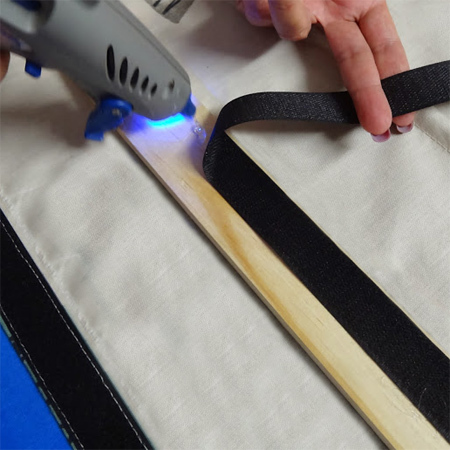 Use a sewing machine to do a running stitch all the way around. You will iron and sew the bottom once the blind is finished, so that you can adjust the length as required. 2. 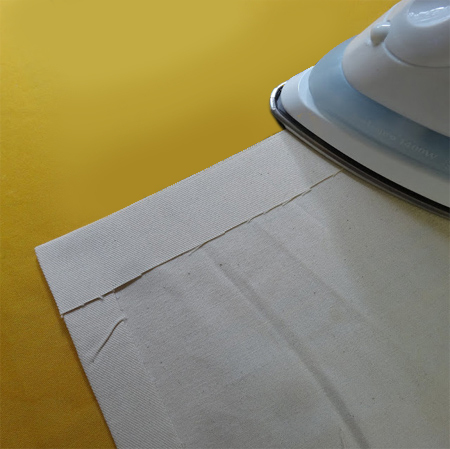 Fold the fabric to iron a pleat every 30cm from the top to the bottom. The pocket should be on the back of the fabric. This is where you will be adding rod pockets for the dowels. 3. 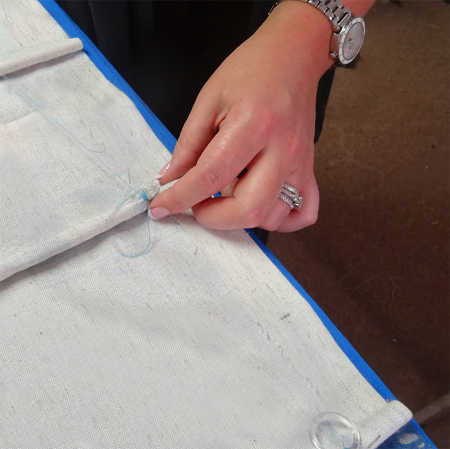 Where the pleat was ironed flat sew a running stitch along the width to create a small pocket for the dowels. Insert the dowels. 4. Along the length of each rod pocket sew on plastic rings. Space these evenly from edge to edge along the total width. For a blind no more than 90cm wide you can use 3 rings along the length of each rod pocket. For wider blinds, add a ring every 30cm. 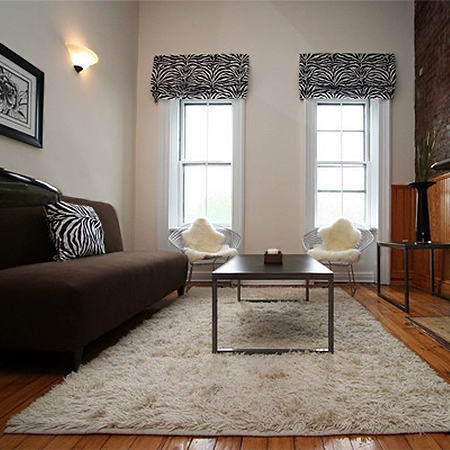 There are various methods for hanging and mounting blinds, either at the top of a wood frame if the blind is mounted inside a window recess, or above the window for blinds that hang over a window recess. For me, personally, the easiest and most inexpensive way to hang and mount Roman blinds inside or outside a window recess is to use a PAR pine batten. On the bottom of the batten you can screw in steel eyes that correspond with however many plastic rings you attached + 1 extra. If you have 3 plastic rings sewn onto the rod pockets you need 3 eyes, plus one extra for threading all the cords through to be able to open and close the blinds. 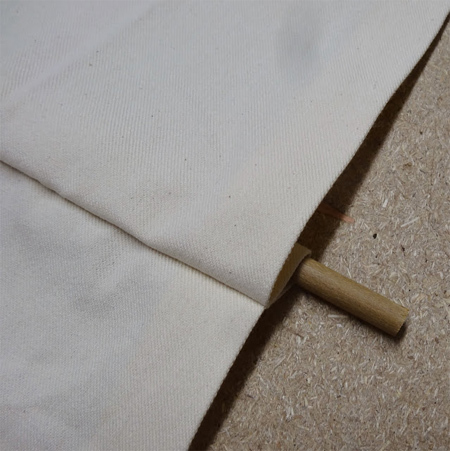 Along the top edge of your completed Roman blind, and along the length of the batten, you attach a velcro strip. When the blind is pressed against the batten the velco secures to two together. I prefer this method of hanging because it allows you to easily remove the blind, slip out the battens and wash the blind when necessary, re-mounting once you're done. 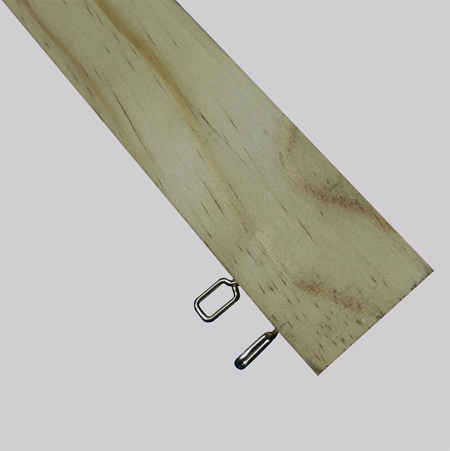 You can mount the batten onto the window frame or wall using keyhole brackets. Two brackets are sufficient for a blind no longer than 1 metre, for blinds wider than 1 metre, add another keyhole bracket for every 50cm width. At the back of the blind you need to attach three cords - or one length for each vertical row of plastic rings. Tie the cord to the bottom ring and thread through all the vertical rings to the top. Make sure your cord is long enough to thread up - across the width of the blind - and then down again to the same size of the blind. You will repeat this for all the plastic rings. If you have three rings along the width you will need three lengths of cord. Before hanging and while the blind is flat, tie a knot on the outside cords - at the bottom to hold the three cords together. BELOW: Small, medium or large, the nice thing about making your own Roman blinds is that you can make them to fit any size of window. 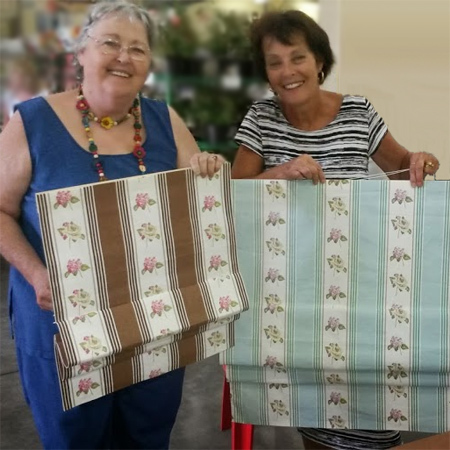 At the DIY Divas workshop in Helderberg, Stephanie showed the Cape Town Divas how to make easy Roman blinds.